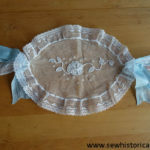 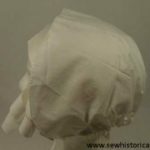 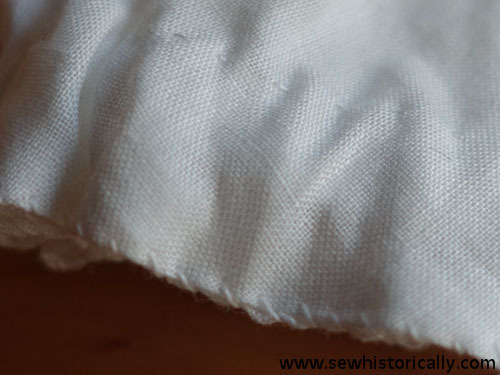 Here are some close-up pics of my handsewn Victorian day cap. 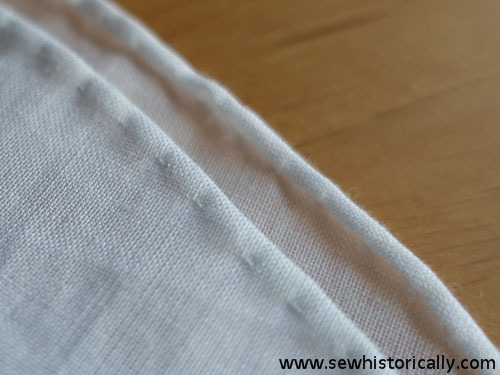 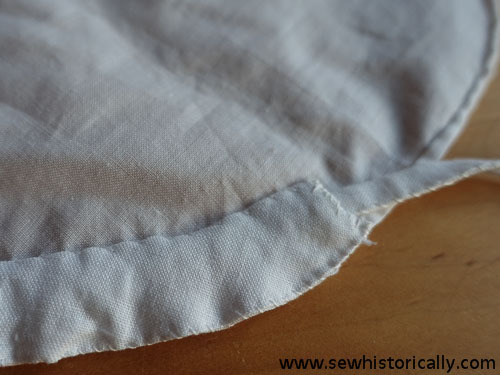 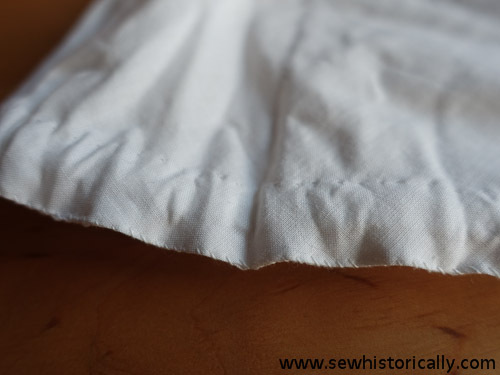 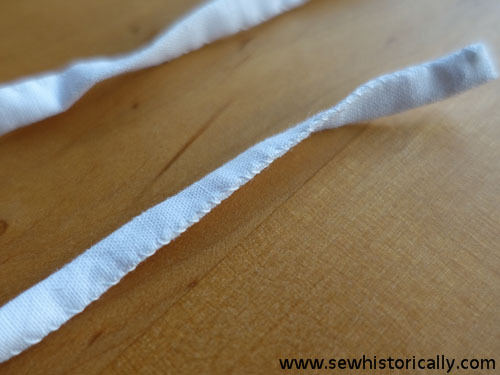 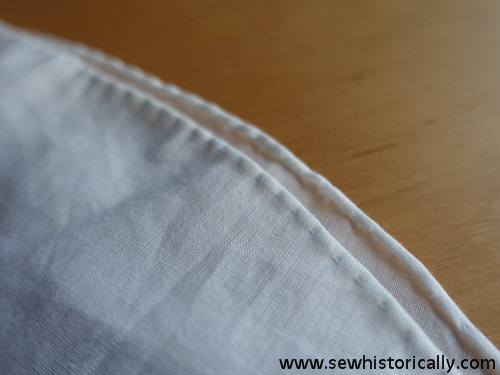 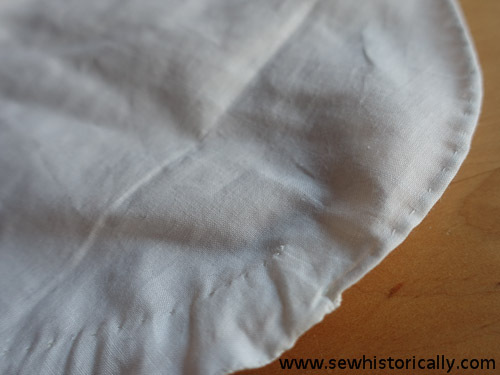 The raw edges are finished with a hand rolled hem. 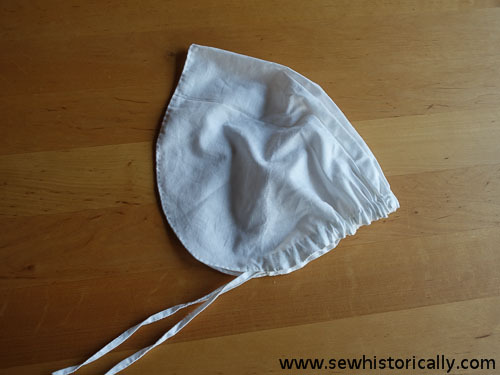 At the back of the cap is a drawstring casing. 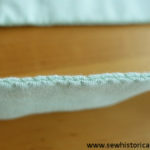 Here are pictures of me wearing the cap.